Rated Best Nidhi Software in India Our Nidhi Software is now top selling Nidhi Software in India. Contact the #1 Nidhi Software Company of India today for Nidhi Company & banking Software, Nidhi Software Company of India, for Nidhi Software price, Nidhi software free demo, Nidhi banking software, Nidhi company software cost, Nidhi software demo download. Rated BEST NIDHI Software, Adysoft’s Nidhi Software is Now Top Selling Nidhi Software in India. Contact the #1 Nidhi Software Company in India today for Nidhi Company & banking Software. Get Best Nidhi Software for Nidhi company for Nidhi Software price, Nidhi software free demo, Nidhi banking software, Nidhi company software cost, Nidhi software demo download. After Research in Nidhi or Mutual Fund with guidance of all experienced people, who running such institutions. Adysoft studied the exact and practical working of Nidhi along with the common problems faced by such organization based on study and examine, we develop Nidhi Software with Full Data Security. Our Developed Nidhi Company Software helps you in focused on your marketing and consumer management activities by speeding up your work and reduces the hours needed to perform time-intensive management and organizational responsibilities, improving effectiveness, driving out cost and increasing profitability. It is fully customizable and can be integrated with real time Mobile, SMS and Email system. Nidhi software also known as RD FD Software or Agro Producer Software and it is simple and easy to understand. Our process and methodologies are persistently monitored, efficient to keep pace with the new innovations in technology and customer's requirements. A person can master of this Nidhi software in short time with basic computer knowledge. Why Choose Adysoft - Nidhi Software India? Our Developed Nidhi software has lots of excellent mini banking features such as FD, RD, Daily Cash Account, Saving Accountsand Loan Accounts and has extra modules Integration to handle multi branches, multi user entry and reporting operations. we believes in STEP - service, teamwork, efficiency and performance. We have 50+ clients and enjoying with our top class services. Masters: Master forms are basically used to define the conman and basic information that can be further used for other calculation or somewhere else when needed. Branch Master: This Screen is used to add a new branch with (auto generated branch code) and all its basic details as address, phone, email, cash/credit limits who and also modify or delete existing one and much more. Worker Master: This Screen is used to Add a new worker with (auto generated worker code) all its basic details as address, phone, email ,introducer, position(rank), and also modify or delete existing one and much more. Scheme Master: This Screen is used to Add a new scheme with (auto generated scheme code) all its basic details as Scheme period and maturity period, rate of interest, default interest (used in case of surrender), loan interest( if needed) and mode of the deposit as on daily basis or monthly, quarter yearly, half yearly or yearly. All type of maturity and other amounts are automatically calculates here. And also modify or delete existing one and much more. Saving Account Master: This master form is used to generate, modify and delete the plans for saving account with its opening amount sand applicable branch etc. Reward Master: This is the form to create, modify, and delete the reward for worker. The reward defines here with all its caring branches, amount, presented and much more. Transactions: Transaction form are widely used for do all other stuffs to manage the transactions that are done on master’s data as policy registration, renewal collection, payments and other thing. Member Registration Form: This form is used to register a new person with the company whether he/she is joining as customer or worker. All his/her information defines here for current or later use. To become a member is necessary for all worker or customer. NI Form: This Screen is used to register a new Policy for Customer with (dynamic generated code on basis of branch) and all its basic details i.e. automatically fetched out to you from member registration. You can print first receipt or bond or both of them for registered customers with particular plan i.e. taken by him/her and also modify or delete existing one and much more. Renewal Form: This Screen is used to deposit the renewal for any customer against the plan taken by him/her accordingly. The penalty (if any) and installment amount are automatically calculated for you. Also the all information related to policy and client are automatically filled out you just need to do a click. You can also do search to modify or delete old records. Renewal List: This screen is used to show or print the list of renewal according to various filter as date, customer etc. NI Update: This UI screen is a shortcut, used to modify the NI details. Worker Update: This is a shortcut to update worker account. Receipt Print: This screen is used to specially print the renewal receipt in bulk. Bond Print: This screen is used to specially print the Policy’s Bond in bulk. Upload Photo: This is form is used to upload photo of loan account/member accounts for later use if the related person did not submitted that on time of joining. Maturity Form: This UI screen used to make a request for maturity completion by any branch to administrator for approval to further proceed to release payment to customer. All type of amount that is pending to pay from customer will calculated and reduces here from maturity amount if you want. Customer Return Request Form: This form is used for making a request for customer return of MIS or other return plan. Customer Return Statement: This screen is used to show the statements of customer returns. Surrender Form: This surrender form used when a customer wants to surrender its policy before maturity. All deduction will calculate automatically for you. On spot Pay: This screen is used to generate on spot commission of advisors. Loan: Loan section used to manage the all process of loan, secured loan. Secure Loan From: This UI form used to register a secured loan (against RD, FD etc) to customer with all its basic and relative information. All predefined customer information and all calculation automatically managed for you. Secure Loan Deposit: This UI screen used to receive the payment against secure loan. Secure Loan Report: This is report used to show the secured loan with its details and status whether it is approved or pending or in process. Loan Master: Master form to create, modify and delete the plans of loan with all its details as amount, maturity duration etc. Loan Request From: UI screen to generate a loan request by customer. Loan Deposit: This screen is used to deposit installment of the loan taken by customer. Loan Party Statement: This screen is used to show the statement of loan taken by customers. Loan Due Report: This is a report used to show the due installment and penalty of loan taken by particulars’. Loan Account Update: This is a shortcut to update a loan account. Loan Collection Report: This UI is used to make payment of loan for customer who is requested for this. Loan Other Expenses: This UI is used to manage other charges on loan amount if any. Loan Surrender: This UI form is used to surrender or finish the loan before its maturity period. Loan Report: This is a report used to show the loan report with related information like customer, date, amount etc. MI Report: This is the report to show all EMI received from a customer against loan with its details. EMI Due Report: This is the report to show all EMI due on customers of their loan with its details. Saving Account: This section defines all forms i.e. used to manage the saving account of customer. Saving Account Form: This form used to open a saving account for a customer with all its basic information as opening amount, photo and signature uploading etc. Saving Statement: This form is used to show the saving account transaction (statements) for Holders. Saving Account Report: This report is used to show all information about saving account as related holders, opening amount etc. Share Money Deposit: This screen uses for share holders to deposit share money to invest in your company and purchase share. Share certificates are also providing here. Share Money Withdrawal: This screen uses for share holders to withdrawal share and return back. Saving Account Update: This is a shortcut to update saving account. Accounts: This section manages all accounting form to manage cash flow of company. Account Master: This Screen is used to Add a new Account (for your balance Sheet or ledger or other accounting sections) with all its basic details as address, phone, email and also modify or delete existing one and much more. Other Cash Payment: This UI screen used to make a payment by cash for any A\C Head from any. Other Cash Receive: This UI screen used to receive a payment by cash for any A\C Head from any. Bank Payment: This UI screen used to make a payment by bank account for any A\C Head from any. Bank receives: This UI screen used received by bank account for any A\C Head from any. Bank Payment Report: This report shows the payment release by bank accounts. Ledger Book: This is ledger report used to show the ledger for you with details view and also in summarized view. 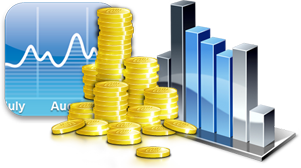 Worker Advance: This section manages all transactions related to worker advance money. Worker Advance Request Form: This UI screen is used to generate a request for advance money requested by worker. Worker Advance Return: This UI screen is used to receive a payment against advance taken by worker. Worker Advance Report: This is report to show the records of advance amount requested, taken by particular or all worker at a time with various formats. Advice: This section generally used to make payment of everything that is requested for payment after approval. Print Payout: This UI screen used to print payout of any or all workers. Secure Loan Payment: This screen is used to make the payment by branch against secure loan requested by the customer. Surrender Payment: This form is used to make payment for customer who surrendered their policy. Maturity Payment: This form is used to release final payment of policy as maturity to customer. Loan Advice: This screen is used to deposit installments of the loan taken by customer. Customer Return: This form is used to return the customer return amount for MIS or other return plans. Worker Advance Payment: This UI screen is used to make a payment (advance) for requested worker. Employee Advance Payment: This UI screen is used to make a payment (advance) for requested employee. Print Cheque: This UI screen is used to print the cheque from branch for make a payment for customer, worker etc. Passbook Printing: This UI screen is used to print the passbook of saving account fro account holder. Stationary: This section used to take care of stationary flow between branches. Print Stationery: This Screen is used to manage stationary (bond, receipts, passbook, cheque etc.). Stationery Demand: This UI screen used generate a demand by branches for stationary from HO branch. Issue Stationery: This Screen is used to manage stationary stock between all your branches. Stationary Return: This UI screen is used to return the issued stationary back to HO branch on demand or if do not needed. Stationery Payment Approved: This screen used by admin to approved payment done by branch regarding stationary. Stationery Report: This is Report to display the stock of stationary and other information whether it’s printed, issued or transferred status etc. Send Stationery Report: This is report to display the stationary detailed ie send to branches from H.O branch. Reports: This section used to take print most commonly used reports. Worker Down Line List: This Screen is used to show the down line/ team information of any worker. You can also print them from here. NCB Report: This report is used to show the new coming business done by any customer with its all beneficial details. You can also print them from here. Maturity Forecast: This is the maturity calculator to check the maturity of any policy. Payout Report: This is report used to show the payout details date wise or worker wise etc. Secure Loan Report: This report is used to show records with all its related information’s of secured loan. Customer Due Report: This is report used to show the renewal or penalty due for a particular or all customers date wise. On-spot Pay Report: This is report to show the all record of on spot pay generated before in various ways. MIS Report: This report show all paid MIS plans and all other related information. Worker Report: This report shows the workers with their branch and all other related information. Maturity Report: this report is used to show the all maturities paid to or requested by customers in various formats. System Tools: This section fixed for the activities that are used by admin or higher authority. Generate Payout: This UI screen used to generate payout of any or all workers. User Profiles: This screen is used to show or modify all user profiles and also used to set their roles or limits over the project. You can assign their power to add, view or modify anything. Create User: This screen is used to add, modify or delete user profiles. Secure Loan Approved: A very simple UI only show for administrator to allow or approval for secure loan, requested by any branch. Only after approval the further process will continue. Maturity Approved: This UI is used to show the maturity completion to administrator requested by branch for approval so that they can further proceed. Loan Approval: This screen is used by admin to approve the request of loan generated for the customer. Customer Return Approved: This form is used by admin to approve the return request of customer. Bond Approved: This UI screen is used to get approved the bond to print, requested by the related branch to administrator for approval. Worker Advance Approved: This form is used by admin to approve or reject the request of advance requested by worker. Employee Advance Approved: This form is used by admin to approve or reject the request of advance requested by employee. Cheque Clearance: This UI screen is used to clear or bounce the cheque deposited from any customer or saving account etc. Branch Login Status: This screen is used to display the current login operators with their branches to the admin or authorized person to keep eye on them. Employee Management: This section controls the employee management As join new, manage employee advance etc. Employee Master: UI to register, modify, delete the salaried employee for company with all its details. Employee Advance Request Form: This UI screen is used to generate a request for advance money requested by employee. Employee Advance Return: This UI screen is used to receive a payment against advance taken by employee. Who Uses Nidhi Software in India? Nidhi software is extremely popular in different Indian states like Delhi, Uttarakhand, Uttar Pradesh, Haryana, Punjab, Gujrat, Madhya Pradesh, Bihar, Jharkhand and all over South India including cities Agra, Aligarh, Allahabad, Sitapur, Kanpur, Moradabad, Bareilly, Pilibhit, Azamgarh, Bareilly, Badaun, Bijnor, Kanth, Bulandshahr, Faizabad, Firozabad, Ghaziabad, Jhansi, Lucknow, Meerut, Mirzapur, Saharanpur, Varanasi, Hapur, Hathras, Mathura, Amroha, Muzaffarnagar, Rampur, Ajmer, Jaipur, Kota, Jodhpur, Jaisalmer, Dehradun, Haridwar, Roorkee, Haldwani, Rudrapur, Rishikesh, Kashipur and more.